Hundreds of Libyan pro-government demonstrators have stormed the HQ of a radical Salafist group, driving the militiamen out of their last major stronghold in Benghazi. At least four people were killed and 20 wounded in the fighting. The clashes with Islamists from the Ansar al-Sharia group occurred as tens of thousands took to the streets to rally against militias on Friday. “Three people are dead. We have also received 20 wounded," AFP reported citing a medical source. 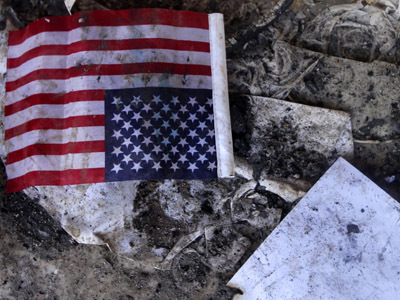 The demonstrators entered the headquarters of the militiamen, setting fire to their building. The incident took place in the city that became the cradle of last year’s uprising against Muammar Gaddafi’s regime. 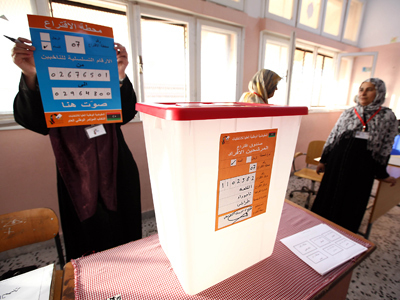 "We entered here to give the place to the national security forces," activist Musaf al-Sheikhy said, according to Reuters. 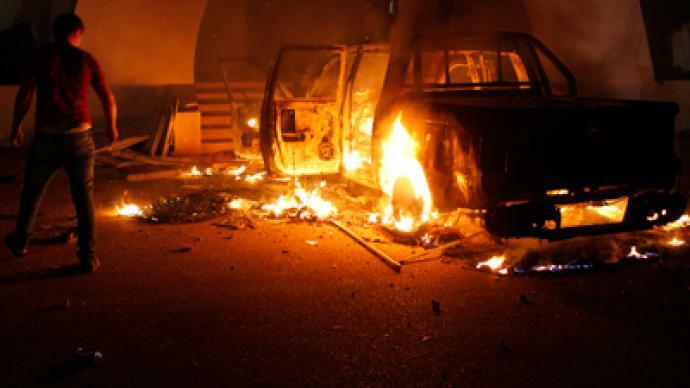 The "Rescue Benghazi day" demonstration drew tens of thousands of people discontent with armed Islamist militias.Anger has boiled over with the groups refusing to give up their weapons and repeatedly disobeying the new Libyan government, threatening stability in post-Gaddafi Libya. “No to armed formations" and "Yes to the Libyan army", read some banners used by demonstrators. “I don't want to see armed men wearing Afghani-style clothes stopping me in the street to give me orders, I only want to see people in uniform,'' Omar Mohammed, a university student who took part in the takeover of the Islamist headquarters, told AP. The activists demanded the central government disband militias and also condemned last week’s attack on the US embassy in Benghazi that killed four Americans, including Ambassador Chris Stevens. 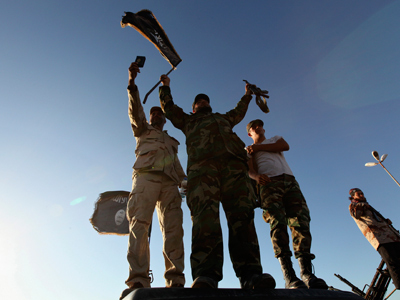 Ansar al-Sharia is accused of leading the assault. "What happened in Benghazi was a terrorist attack," Secretary of State Hillary Clinton said Friday. "And we will not rest until we have tracked down and brought to justice the terrorists who murdered four Americans." 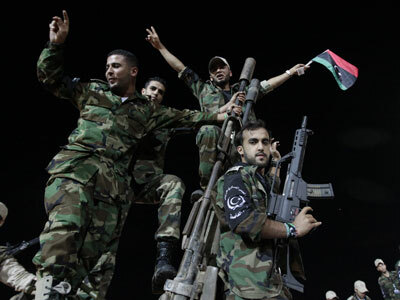 Libya power transition: Who can stop the chaos?